UPDATE: Due to the threat from Hurricane Florence, the Men’s Breakfast & Tour is now canceled. 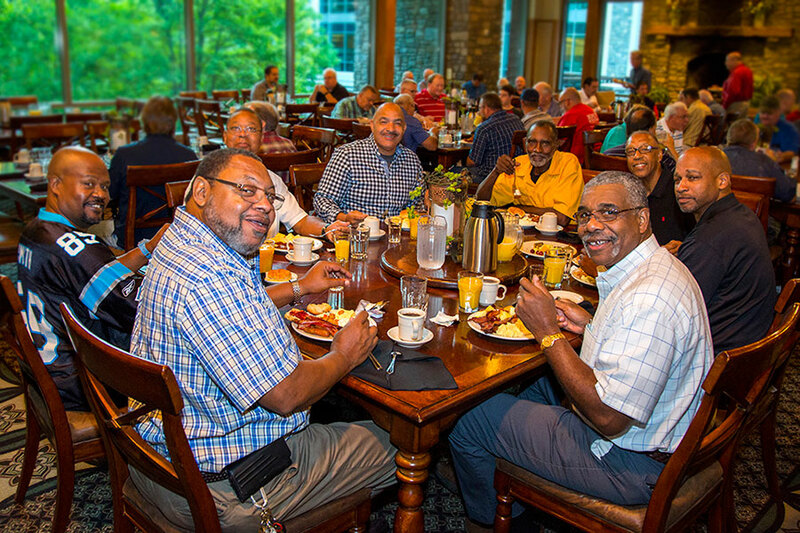 Journey through history and be inspired by what God can do through ordinary men who are surrendered to Him at the 2018 Men’s Breakfast and Tour. Ron Shea, son of George Beverly Shea, will offer a behind-the-scenes look at the ways the Lord used his father during more than seven decades of global Crusade ministry. Men of all ages will enjoy a hot buffet breakfast, and uplifting music, plus Biblical encouragement on purposeful living from Ron Shea. Guided Journey of Faith tours will be offered after the breakfast. Ron Shea has served at the Billy Graham Evangelistic Association (BGEA) for nearly 40 years. For much of that time, he worked to prepare for Crusades in cities across North America, and even met Kathy, his wife of 20 years, prior to a Billy Graham Crusade in Sacramento, Calif. Ron will answer guests’ questions about his father, George Beverly Shea, his own life, and Crusade ministry. Tickets are $20 per person, and space is limited. Purchase tickets or call 704-401-3271. All sales are final and no refunds are provided.